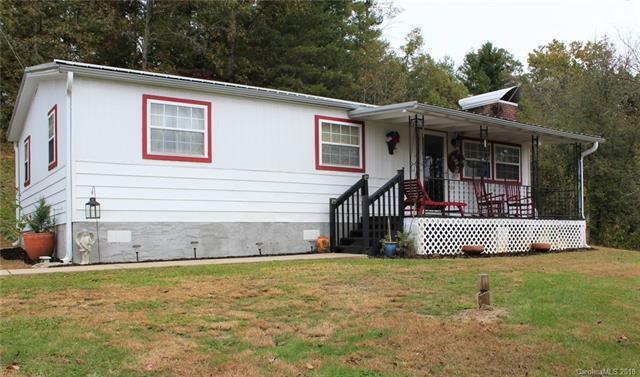 2 bedroom 1 bath home located in a quiet Alexander community. Home is located on .95 acres. Property offers: Long range views from the front porch and a 400+ Sq. Foot block storage building that offers electricity! Also, you will find a RV hook-up with 30 AMP service. Located 10 minutes from Weaverville and 13 minutes from Marshall. Pre-finished Bamboo flooring throughout the Dining, Kitchen, and Living Room. Both bedrooms have new flooring along w/ a beautiful completely remodeled bathroom. Screened in back porch that offers privacy. The house has sheet rock throughout. A new well was installed in April of 2018 as well as a pressure tank. Many improvements have been made, home shows very well! Sold by Hollifield & Company Properties , Inc. Offered by Hollifield & Company Properties , Inc. Copyright 2019 Carolina Multiple Listing Services. All rights reserved.